Click on the image to see our newest video - Shmuel Katz debates Shlomo Avineri on the Israel / Egypt peace treaty after the 1973 war. This interview was taped on Bill Buckley's Firing Line on March 16, 1979. The purpose of our site is to continue the work of Shmuel Katz (December 9, 1914 - May 9, 2008), the most clear-sighted political thinker Israel has ever produced. A native of South Africa who moved to Palestine as a young man, Katz dedicated his life to the Zionist cause. He worked closely with the leader of the Revisionist movement, Vladimir “Ze’ev” Jabotinsky, and served as a member of the Irgun high command. As such, Katz participated in many of the events that led to the creation of the State of Israel. 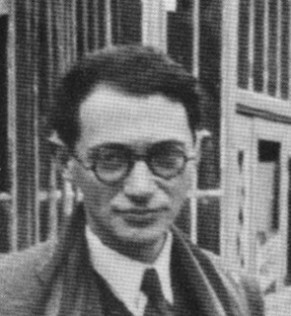 He served as member of Knesset (1949-1951), but declined to further participate in party politics. Unwavering in his principles, Katz resigned his position as advisor to Prime Minister Menachem Begin when Begin revealed his intention to abandon the Sinai and offer autonomy to the Arabs of Judea and Samaria -- a plan which went against Katz's understanding of Jabotinskian principles. Katz spent the next decades outside the halls of power warning against the policies of appeasement pursued by successive Israeli governments, each seemingly intent on outdoing the other in leaving Israel bereft both of the strategic depth and the national will necessary for survival in the Middle East. Much like the prophets of ancient times, Katz was heard by many but hearkened by few. Yet his message remains as valid as ever. Israel’s governments continue down the same disastrous path of appeasement. They have not changed their approach, nor have they learned from their mistakes. At our site’s heart is its “article archive,” which contains hundreds of articles by Katz, most from The Jerusalem Post, for which he wrote for decades. They are searchable by keyword as well as in list form for easy perusal. These articles are a treasure trove of political insight and a historic record. Those who take the time to read them will be richly rewarded, gaining a knowledge superior to 99% of those who claim the title “expert” in Israel’s affairs. A biographer and historian, Katz also wrote many fine books, including the seminal Battleground: Fact and Fantasy in Palestine, which cuts through the myths of the Arab-Israel conflict – a complete transcript of which is also available on this site. We hope you benefit from ShmuelKatz.com and the wisdom contained therein.